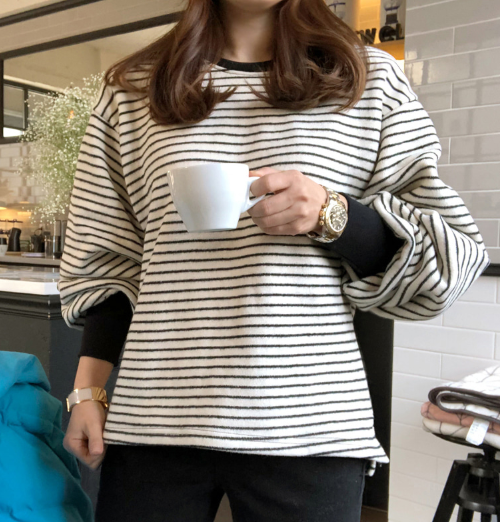 It is impossible to commit a fashion faux pas with this nautical-inspired Fleece-Lined Stripe Pattern Top. 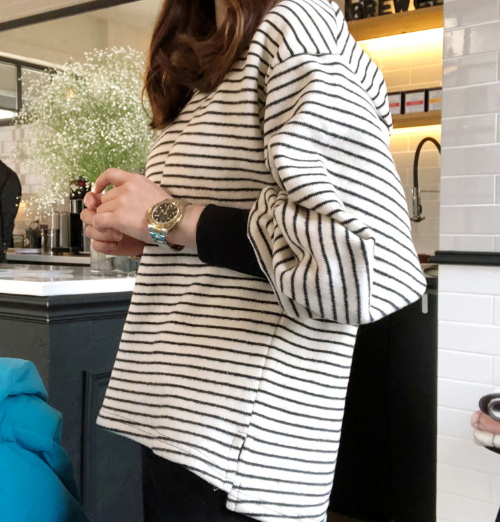 Versatile and minimalist, this classic piece sports a vibrant stripe pattern, a round neck, cuffed sleeves, and a loose fit. 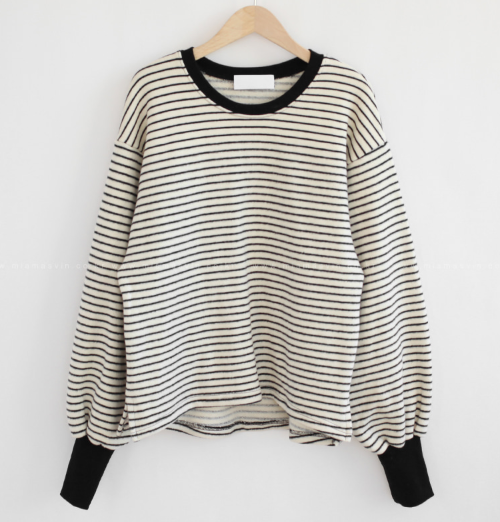 Wear this comfy top with your skinny jeans matched with a pair of lace-up sneakers for a casual-chic vibe. Available in ivory and black.